Residents of Nablus in the occupied West Bank are suffering from increasing water shortages, according to a new report by B’Tselem. Israel abuses its control of all water sources between the Jordan River and the Mediterranean by subjecting Palestinians to a permanent shortage of water. B’Tselem notes that “Israel impedes the development of new Palestinian water infrastructure, destroys and confiscates existing infrastructure, and limits Palestinian access to local water sources such as fresh water springs, drilled wells and rainwater cisterns”. BETHLEHEM (Ma’an) — An Israeli military court extended the detention of two injured Palestinians on Thursday for an additional 11 days, according to the Palestinian Committee of Prisoners’ Affairs. The committee said in a statement that said that the detentions of Haitham Hassan Issa Jaradat, 15,from the Hebron district town of Sair and Laith Muamer Daraghma, 18, from the northern West Bank city of Tubas, were extended. The committee said that the two were detained earlier this week after being shot with live fire by Israeli forces, and that they could not attend their court hearings due to their health conditions.Meanwhile, committee lawyer Karim Ajwa said in a statement that 15 year-old Jaradat, who was shot while allegedly committing a stabbing attack, is being held in Israel’s Shaare Zedek Medical Center in “serious condition,” adding that the teen had underwent surgery and had part of his intestines removed.Ajwa said that Jaradat is being held in the hospital’s intensive care unit. According to Ajwa, hospital staff told him that Jaradat was shot with a bullet in the back that penetrated his abdomen and came out through his stomach, noting that while the teen can see and hear, he is using breathing aides, while his hands are tied to his bed. BETHLEHEM (Ma’an) — The Legal Center for Arab Minority Rights in Israel (Adalah) and the Association for Civil Rights in Israel (ACRI) announced on Wednesday that the Israeli Supreme Court had accepted a petition issued by the groups amid a 10-year legal battle where Israeli authorities attempted to revoke the Jerusalem residency of four Palestinian parliamentarians on the Palestinian Legislative Council (PLC). Four Jerusalem residents — Muhammad Abu-Teir, Ahmad Attoun, Muhammad Totah, and Khaled Abu-Arafeh — were elected to the Palestinian Legislative Council (PLC) in 2006. Several months later, according to a statement released by Adalah, Israeli Interior Minister Roni Bar On attempted to revoke their Jerusalem residency owing to a “breach of loyalty” and claiming that the four, who ran on the list of the Change and Reform Movement, were members of Hamas. His claims were based on the reasoning that the four Jerusalemites were active in a foreign parliament, and were therefore breaching their loyalty to the Israeli state. According to Adalah, the four men and their families were deported to Ramallah city in the occupied West Bank at the time. 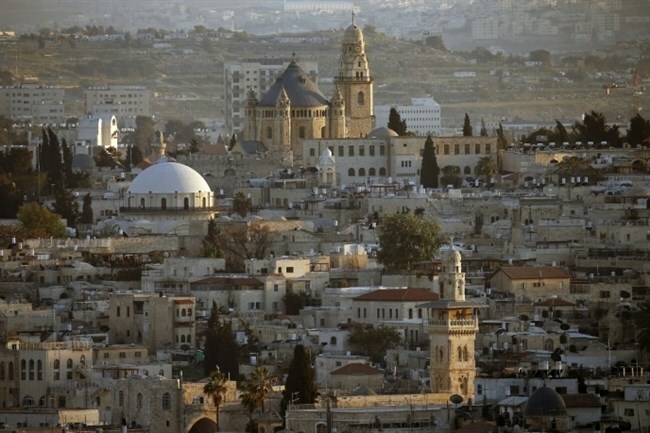 In addition, the human rights groups argued that East Jerusalem is considered occupied Palestinian territory and therefore Palestinian residents there have protected civilian status. Adalah announced that the Supreme Court on Wednesday finally rejected the revocation of the four Jerusalemites’ residency permits, as Israeli law does not allow a minister to cancel residency for the reasons provided by Bar On. The revocation of the parliament members’ residency permits would be suspended for six months, Adalah said, and the Knesset, Israel’s parliament, would be permitted to attempt to change the law according to Israel’s Basic Law in order to allow revocation of residency in the future. “The Supreme Court’s majority opinion delivered an important message: It is not permitted to revoke the residency of East Jerusalem Palestinians in violation of the rule of law while gravely harming their constitutional rights on the vague assertion of ‘breach of loyalty,'” Adalah said. “It is unfortunate that this ruling was made only after more than a decade, during which time the petitioner’s’ rights were brutally violated,” Adalah added. According to Israeli rights group B’Tselem, more than 14,000 Palestinians in East Jerusalem have had their Jerusalem residency revoked since Israel took over the territory in 1967. The group said that the revocation of Jerusalem permits reflects Israel’s overall strategy in East Jerusalem, which is centered on ensuring a 70 percent Jewish majority in Jerusalem. “To that end, ongoing efforts are made to expand the Jewish population in the city and reduce its Palestinian population,” B’Tselem noted. 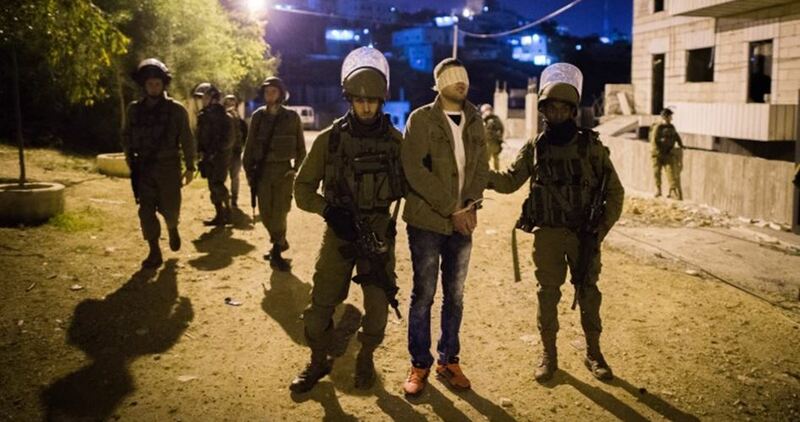 RAMALLAH (Ma’an) — Israeli forces detained at least 14 Palestinians during raids between Wednesday and Thursday across the occupied West Bank, according to the Palestinian Prisoners’ Society (PPS). 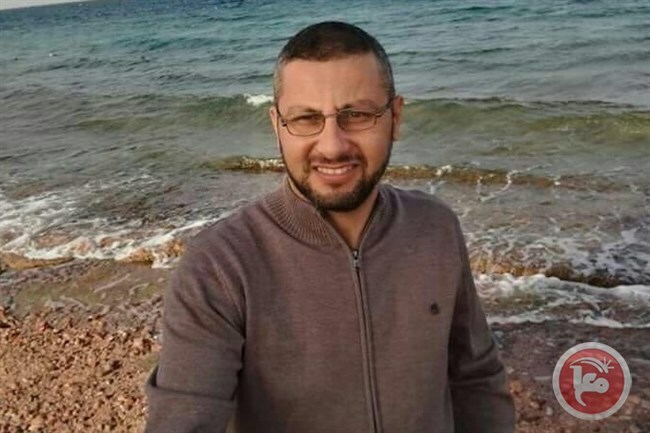 In the northern West Bank, PPS said in a statement that Udayy Moussa Ghawadra, 35, from Bir al-Basha village in Jenin was detained by Israeli forces. 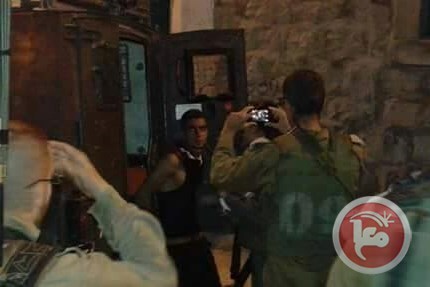 PPS noted that five other Palestinians were detained from Nablus and Jenin, but did not provide further details. According to PPS, Hassan Husni Abu Zant, 35, and Samer Khalid Muhammad Ghanem, 35, were detained in a neighborhood west of Tulkarem city. According to PPS, Israeli forces had raided and searched the homes of Abu Zant and Ghanem before detaining them. Witnesses told Ma’an that clashes erupted in the area following the raids and detentions, as Israeli forces fired stun grenades and tear gas bombs at Palestinians. No injuries were reported. In the central West Bank, Israeli forces detained five Palestinians from the Qalandiya refugee camp in Ramallah, according to PPS, who identified the detainees as Muhammad Nimr al-Luzi, Ahmad Hasan Mteir, Nael Abed al-Rahman, Adham al-Qumbuz, and Wissam Abu Lafi — the brother of 17-year-old Muhammad Khalaf Lafi, who was killed by Israeli forces during clashes in July. Israeli forces also raided and searched several houses in the refugee camp, causing clashes to erupt that continued until the morning hours as Palestinian youth threw rocks and Molotov cocktails at Israeli soldiers, who opened live ammunition, rubber-coated steel bullets, tear gas, and stun grenades at youths. Ratib Jubour, coordinator of the popular committees in the southern West Bank, said that Israeli forces had detained Abdullah Mahmoud Ideis, 49, after raiding his home in the area of Ruqaa in the Hebron-are Yatta village . Ideis is the father of 16-year-old Murad Ideis, who was sentenced to life in Israeli prison after committing a deadly stabbing attack in the illegal Israeli settlement of Otniel. Jubour added that Israeli forces had raided and searched a blacksmith workshop belonging to Inad Abu Taha, in addition to a lathing workshop. Israeli forces were heavily deployed across the area, he noted. An Israeli army spokesperson told Ma’an that a total of eight Palestinians were detained overnight between Wednesday and Thursday, but did not provide exact locations. Israeli raids in Palestinian towns, villages, and refugee camps are a daily occurrence in the West Bank and East Jerusalem, with a biweekly average of 87 search and detention raids carried out thus far in 2017, according to UN documentation. According to prisoners’ rights group Addameer, 6,279 Palestinians were detained by Israel as of August. The group has estimated that some 40 percent of Palestinian men will be detained by Israel at some point in their lives. HEBRON (Ma’an) — Israeli forces shot and wounded a 13-year-old Palestinian east of Hebron city outside Israel’s illegal Kiryat Arba settlement in the southern occupied West Bank on Wednesday for allegedly attempting to commit a stabbing attack at the gate of the settlement. 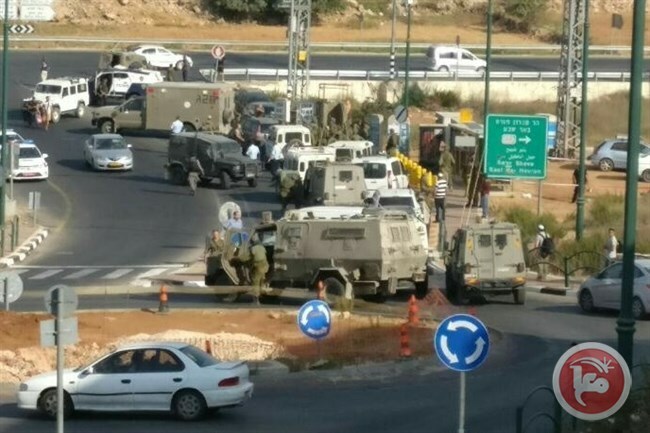 An Israeli army spokesperson told Ma’an that the Palestinian teen had ran toward a bus station at the Elias junction near the entrance of Kiryat Arba and attempted a stabbing attack. The Israeli army “responded to the immediate threat by firing toward the instigator, who was then injured,” the spokesperson said. 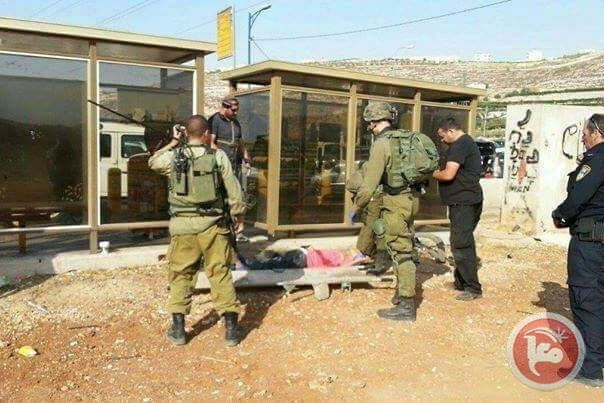 Hebrew-language media also reported that when the Palestinian had approached the bus stop near the settlement, it “aroused the suspicions” of a group of Israeli settlers in the area, who then called over an Israeli soldier. The Palestinian then allegedly ran toward the settlers with a knife, and the soldier shot him in the stomach. 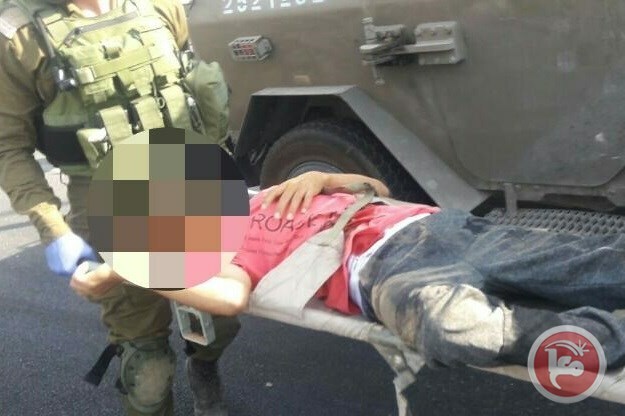 The army spokesperson added that the Palestinian was taken to a hospital in Jerusalem for medical treatment. No injuries were sustained among soldiers or Israeli settlers in the area. Local Palestinian sources later identified the Palestinian as Hasan Issa Jaradat, 13, from the village of Sair in the Hebron district. The sources added that his injuries were serious. Meanwhile, a video was later released of the incident after the teen was shot. An Israeli officer in the video asked Jaradat what he was doing in the area, the teen replied that he came in order to commit suicide. “Why?” the officer asked him, but Jaradat only replied that he wanted water. The officer asked him if he had come to the area to commit an attack. The boy did not answer and instead continued to ask for water. The video has prompted some to comment that the teen was attempting suicide, rather than actually seeking to commit an attack on Israelis. Since Palestinians are almost always killed by Israeli forces during attacks, there has been rising suspicion that some Palestinian youth, facing extreme hopelessness from years living under a brutal military occupation or experiencing problems at home, decide to carry knives and approach Israeli soldiers with the knowledge that they will be shot to death. Israeli forces routinely shoot Palestinians, oftentimes killing them, during actual or alleged attacks on Israelis, even if the Palestinian could be detained through nonlethal means. This Israeli practice has prompted rights groups to accuse Israel of carrying out “extrajudicial executions” on Palestinians. Meanwhile, the Hebron area has faced an uptick in Israeli settler attacks on Palestinian communities in recent weeks. Israeli settlers, in stark contrast to Israel’s treatment of Palestinians, are rarely held accountable for attacks on Palestinians. According to Ma’an documentation, 55 Palestinians have been killed by Israelis since the beginning of the year during actual or alleged attacks, while at least 18 of these Palestinians were killed during clashes with Israeli forces or during violent Israeli raids in the occupied West Bank. Since the beginning of 2017, 13 Israelis have been killed by Palestinians, almost all of whom were uniformed Israeli officers or Israeli settlers residing in occupied Palestinian territory in violation of international law. Palestinians have often cited the daily frustrations and routine Israeli military violence imposed by Israel’s nearly half century occupation of the Palestinian territory as main drivers for political attacks on Israelis. The Israeli magistrate court in Occupied Jerusalem issued actual prison terms against two Palestinian young men from the holy city on allegations of their incitement to violence on social media pages. An informed source told Quds Press that the court sentenced 17-year-old Amjad Abu Asab, a resident of Wadi al-Joz neighborhood in east Jerusalem, to 11 months in jail. The same court also sentenced a young man called Ahmed Oaisat to 10 months in jail on a charge of practicing incitement to violence on social media. He has been in detention for about seven months. 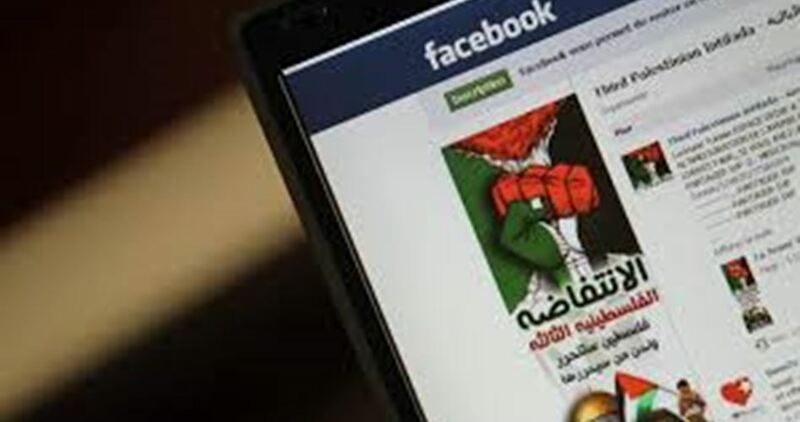 The Israeli security and military authorities in Jerusalem and the West Bank had arrested between 2015 and 2016 more than 400 Palestinians after they published postings labeled as incitement on social media pages, especially on Facebook. The Israeli occupation forces (IOF) kidnapped and detained, in August 2017, 522 Palestinian citizens in the West Bank, Jerusalem and the Gaza Strip, according to a joint report released by human rights institutions. 130 children and 16 women were among those who were jailed or temporarily held in detention during the reporting month. 324 of those citizens are from the West Bank, 194 others from Jerusalem and four from Gaza. During the same month, the Israeli occupation authority also issued 134 administrative detention orders (with no indictment or trial) against Palestinian detainees. 61 of those orders were issued for the first time against prisoners and 73 were extensions to previous ones. The report has been released by the Palestinian Prisoner Society, al-Mizan Center for Human Rights, Addameer Association for Prisoner Support and Human Rights, and the Palestinian Commission for Detainees’ and Ex-Detainees’ Affairs. Dozens of Israeli settlers stormed on Thursday morning al-Aqsa Mosque—the third holiest site in Islam—in Occupied Jerusalem. 88 Israeli settlers, escorted by policemen, broke into al-Aqsa Mosque as part of the four-hour morning break-in shift and carried out a round of sacrilegious tours. 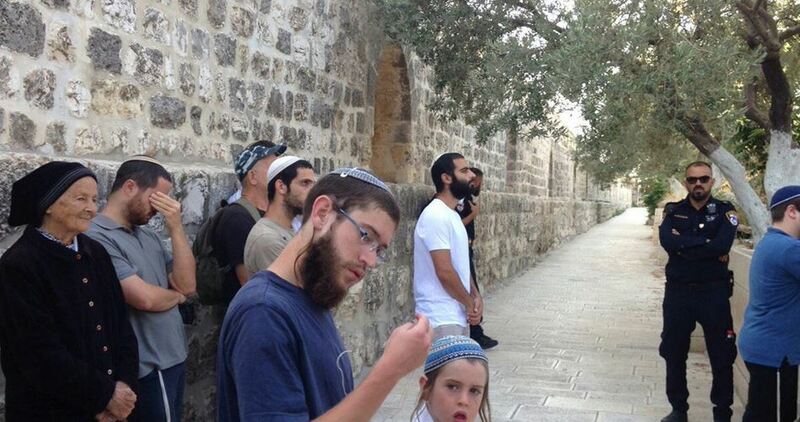 3,647 Israelis stormed al-Aqsa Mosque in August, among them 20 intelligence officers and 14 cops. 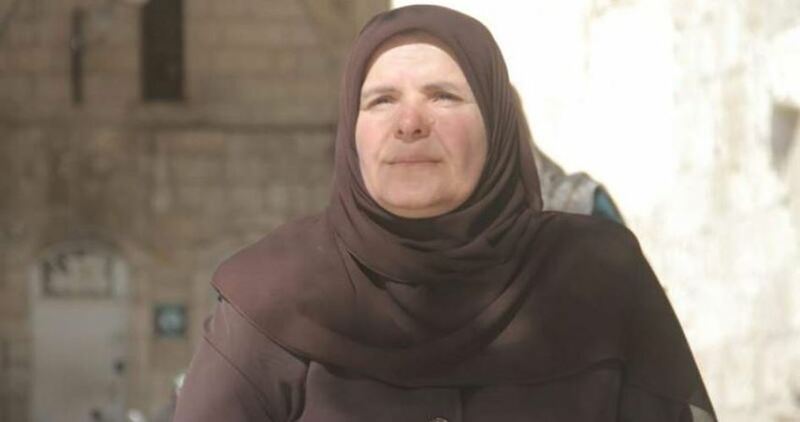 An Israeli court on Thursday extended the detention of a Jerusalemite woman, Sahar al-Natsheh, to 15 days for the charge of allegedly attacking an Israeli Knesset member at the plazas of al-Aqsa Mosque in Occupied Jerusalem. Israeli forces repeatedly carry out arrest campaigns and issue ban of entry orders against many Jerusalemite women in order to deter them from defending the holy site. Four Palestinian prisoners have been violently beaten in Israeli detention in recent days, the Palestinian Prisoner’s Society (PPS) said Thursday. The four detainees were arrested on September 12. 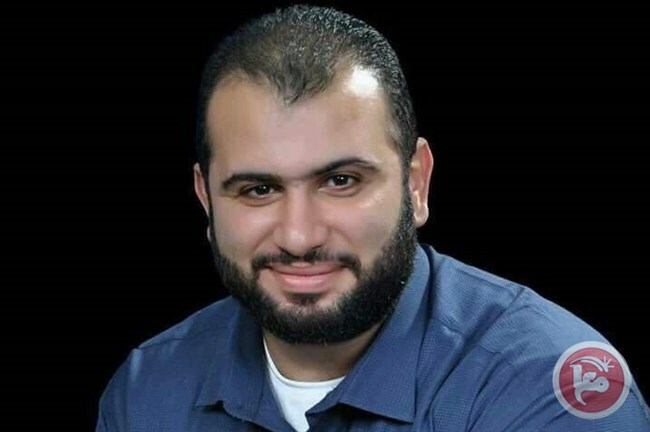 Youssef Zaqaziq, 27, was arrested detained from his family house in Beit Umar south of al-Khalil and violently beaten in Israel’s Etzion detention center. Zaqaziq told the society’s lawyer Jaclyn Fararjah that he was beaten all over his body with rifle butts in front of his family members. His brother was also attacked during the raid. The lawyer reported that he was beaten till his body was all bruised. He was denied medical treatment, she added. The prisoner Jalal Khamoor, 32, was also assaulted and severely beaten with rifle butts after Israeli forces violently stormed and searched his family house. 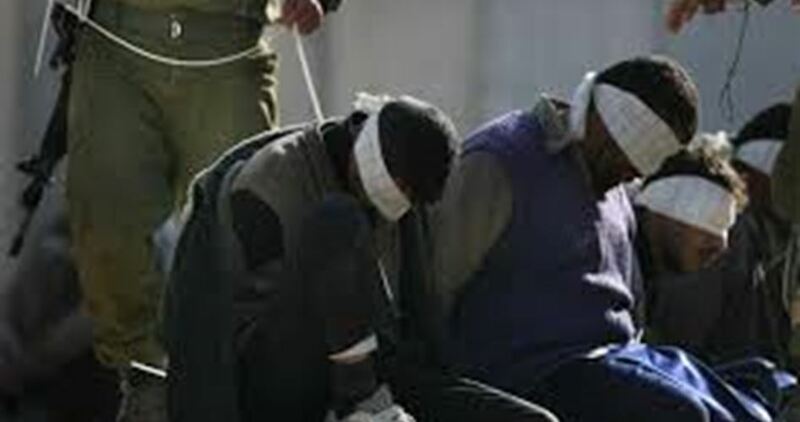 The two prisoners Baraa Thawabta, 19 and Mohamed Thwabta, 19, both from the village of Beit Fujar in Bethlehem, were also subjected to similar attack during their detention.